Forgot iPhone passcode? Don’t worry! This article was written to solve this problem. 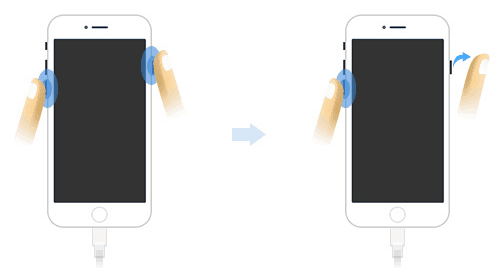 Follow through for simple and diversified ways to get into your disabled iPhone. I’ve listed the advantages and disadvantages for each methods to make it easier for you to choose. The methods mentioned in this article are also available for iPad. How to Get into Device When Forgot iPhone Passcode without Restore? Method 1. Can I Use Data Recovery Software to Retrieve Data When Forgot iPhone Passcode? What’s the Difference between DFU and Recovery Mode? How to Unlock a Disabled iPhone without iTunes or iCloud? Here are three methods to unlock iPhone passcode without restore. It all depends on whether you have trusted your computer or not before your forgot iPhone passcode. Why? You should know what the trust settings on your device mean. That is to say, if you have never trusted a computer, you’ll never be able to access your iPhone data with your computer. In this way, none of the data recovery software can work normally for your iPhone. To trust a computer, you have to enter your passcode to unlock your iPhone. So that’s the problem, if you forgot iPhone passcode, you’ll never be able to unlock your iPhone to trust your computer. If you had trusted your computer before you forgot iPhone passcode, you can retrieve your data first before restoring it. There are quite a good number of iPhone data recovery software all over the internet, but because of the delicacy of the process involved in data recovery, it is very important to make use of standard and easy-to-use software. Let’s introduce you to the most efficient of them all – dr.fone – Unlock (iOS). Dr.fone – Recover. 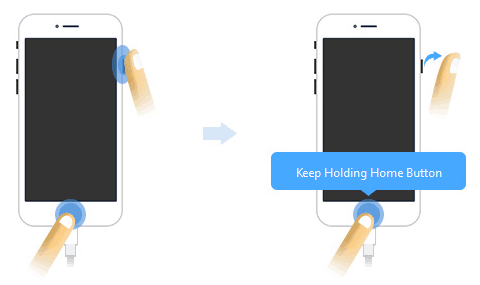 has all the necessary modes and features to help your retrieve data from a disabled iPhone. Step 1. 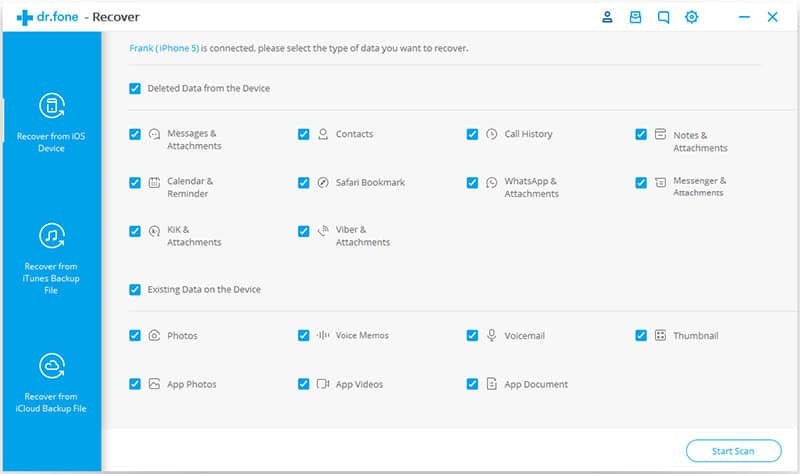 Open dr.fone on your computer, then select Recover. Step 2. Click on Recover from iOS Device option, it will initiate the scanning process which will take several minutes. Step 3. After scanning, you’ll be able to preview your data, select those you want to recover and click on Recover to Computer. Get back all your data when you forgot iPhone passcode. Highest iPhone data recovery rate in the industry. This software designed by Wondershare, a global leader in application software development. Free trial to test before purchasing. The trial version allows you to preview your data. 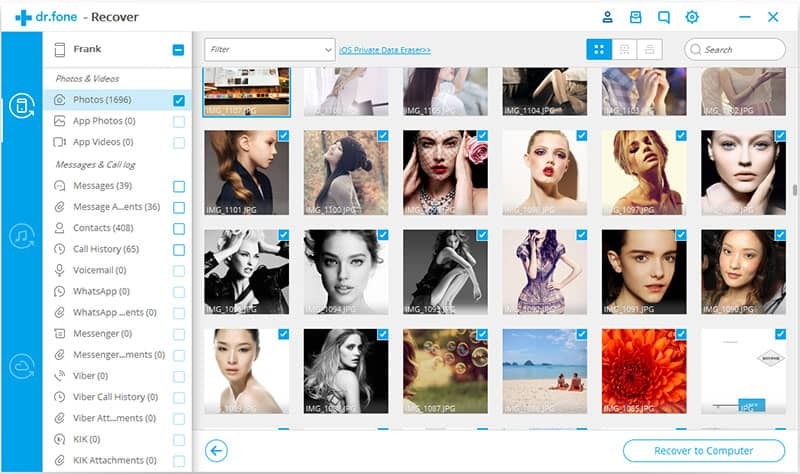 Selectively preview and recover any data you want: photos, videos, contacts, messages, notes, call logs, and more. The trial version can only allow you to preview the data on your disabled iPhone. You have to purchase the full version to retrieve them. When it comes to forgot iPhone passcode without restore, you can solve this problem with Siri. This was a past security glitch with Siri, and it has now been fixed. But it is worth trying if your iPhone is running on iOS 8.1 to iOS 10.1. Step 1. Activate Siri by pressing Home button for few seconds. Step 2. Ask Siri “What’s the time?” It will display a clock on your iPhone screen, tap on it to open World Clock. Step 3. Tap “+” icon, then enter a City, tap the name and choose “Select All”. Step 4. Then select Share, it will show you the options to share with. Choose “Message”. Step 5. In the “To” field, tap any words and then tap the “return” button in your keyboard. This will highlight the text in “To” field. Step 6. Now tap “+” icon next to the words you entered in step 5, and then “Create new contact”. Step 7. Tap “Add Photo > Choose Photo”. It will open the photo library on your iPhone. Step 8. Lastly, tap on home button and it will lead you to your iPhone home screen! Unlock your iPhone without restore when forgot iPhone passcode. Only work for iPhone 4, iPhone 4s, iPhone 5, iPhone 5c, iPhone 5s, iPhone 6, iPhone 6s. You must enable Siri before forgetting iPhone passcode. You can also use iCloud Find My iPhone feature to unlock your device without restore or computer when you forget iPhone passcode. 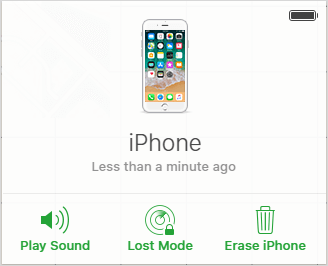 Find My iPhone is one of the features of iCloud which enables you to find your missing device, lock and track your device when it get lost or remotely erase all the data on your iPhone (including the lock screen). If you don’t have a computer or want to unlock your disabled iPhone without restore, you can try this way. Step 1. 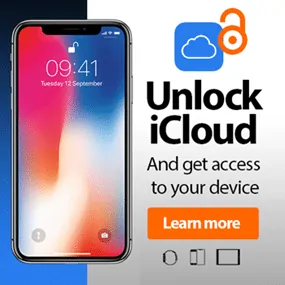 Visit https://www.icloud.com/ on your mobile device. Then login with your iCloud account and password. Step 2. It will show you an interface with features of iCloud. 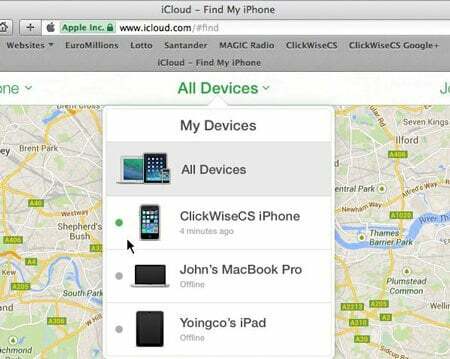 Click on “Find iPhone”. Step 3. In the next page, click on “All Devices” and select your disabled iPhone. Step 4. Then choose “Erase iPhone” option. Your iPhone will be erased when it is online (can get the instructions from iCloud via Internet). After erasing, the lock screen will be removed, you can use it as a new iPhone after setup. Allows you to unlock a disabled iPhone/iPad without restore or computer. Find My iPhone must be enabled before it get locked. This method is useless when your iPhone cannot connect to Internet. Most of people only know two ways to unlock iPhone with iTunes: Restore with iTunes and Restore in Recovery mode. They are the most common ways to use when forgot iPhone passcode. However, there is a third way you can use with iTunes: Restore your disabled iPhone in DFU mode. The main difference between the DFU (Device Firmware Upgrade) and Recovery mode rests in iBoot. As we all know, Recovery mode uses iBoot during restoring while DFU mode bypasses the iBoot. If you cannot restore your iPhone in recovery mode, there may be some errors in iBoot process. So it may be work if you restore it in DFU mode. First, you need to launch iTunes and connect your iPhone to computer via a USB cable. Hold down both the Home and Power button for 8 seconds. iTunes will alert you that a device was detected in recovery mode. Hold down both the Side button and Volume Down button for about 10 seconds. Then release the Side button while continuing to hold down the Volume Down button. iTunes will note you if it is in DFU mode. Press and hold the side button until the screen turns black. Don’t release the side button, hold down the volume down button for about 5 seconds. Then release the side button and hold down the Volume down button for 10 seconds. After iTunes telling you that it has detected an iPhone in Recovery mode, click on OK. Then click on Restore iPhone. Just just like in Recovery mode, it will start downloading the matched firmware package . Waiting for it and following the on screen instructions to restore it. Then your iPhone will be unlocked.